When the Bureau started ordering locally-printed stamps, many paper varieties were created, because the security papers used were mostly imported, and several different sources were utilized. When the Government Printing Office started printing our stamps, it printed them in batches and delivered the stamps to the Bureau of Posts in installments. Therefore, one stamp may take many months to several years to finish, with as many as 10 or more deliveries needed to fulfill the contract. When APO-NEDA took over as stamp-printer, the same practice was continued. This caused not only distinct color varieties in many instances, but often also paper varieties as well, because they didn't have the same type of paper used to print the first deliveries. So any available types of paper were used for subsequent printings, with the result that many stamps exist on 2 or more types of paper, and for stamps ordered in large quantities, there are as many as 5 or 6 different types of paper known! Many of the different types of paper can be differentiated with the naked eye, since some are cream-colored and others white; some have cream or yellowish gum while others have white gum; some are un-watermarked while others are watermarked with several different types used. However, there are those that look similar to the naked eye but are very different under UV light. To better understand the varieties seen under UV light, it is necessary for us to know what fluorescence, phosphorescence and tagging mean. "Fluorescence" refers to the property of emitting visible light during irradiation by ultraviolet light. The visible light given off can be of almost any color, depending upon the substance that is fluorescing, and to a lesser extent upon the wavelength of the ultraviolet light that is causing the fluorescence. The continued emission of light after the ultraviolet light source has been removed is known as phosphorescence". In most countries where automatic facer-cancellers are used, stamps have to be "tagged" to phosphorescence in specific colors when exposed to UV light. This Is necessary in order to overcome the problem caused by the fluorescence present in the envelopes themselves. Therefore, the new sorting machines detect not the fluorescence, but the color of the brief phosphorescence of the specially-coated (tagged) stamps. Because of the dwindling supply of natural resources, paper manufacturers must recycle paper. In the process, chemicals are added to remove old printing inks and other impurities. These additives also react to ultraviolet light, in proportion to the quantities used. Papers without any additives do not react and so do not glow under UV light, appearing dull or brown. These are called plain or ordinary paper. Paper stocks with some additives glow under UV light and, depending upon the chemicals used, may show up in various colors. These are the fluorescent papers. One-hundred-percent-recycled papers come on strongly under UV light, and they are called the hibrites. To simplify the identification of the different paper types as seen under the UV light, I developed a code system for most of the paper types. Since some papers glow on only one side (the front), my codes will have two letters: the first for the face (front) of the stamp, and the second for the gum (back) side of the stamp. The first type of paper used was locally produced and un-watermarked. It is a very white paper with white gum. Under UV light, the gum side glows very brightly, the front is not as bright and has a mottled appearance. This I call the HH PAPER, since the back is hibrite, although it does not glow as brightly as later hibrites, but being unwatermarked makes it a distinctly separate type of paper. All the 1973 and 1974 issues except the 1974 Community Chest stamps are on this HH paper. From 1975 to 1983, the papers used are all watermarked, and 14 different types of paper are involved. All of them have the same large "RPKK" watermark, which stands for "REPUBLIKA NG PILIPINAS KAWANIHAN NG KOREO", or translated: "REPUBLIC OFTHEPHILIPPINES BUREAU OF POSTS". The full watermark measures about 90 mm. x 24 mm., with the "P" measuring about 14 mm. x 24 mm., and "R" & "K" each measuring about 16 mm. x 24 mm., with a wide space between "RP" and "KK". The watermark comes in one of 4 positions: upright, inverted, sideways or sideways inverted. Almost all stamps that exist upright come inverted also. Those that exist sideways usually come sideways inverted too. Most stamps exist either upright and inverted only, or sideways and sideways inverted only. Only a few exist with all 4 watermark positions. Occasionally, we encounter a stamp that has a watermark different from the normal, and it is possible that it is a watermark error. The watermark on all these papers can easily be seen from the front by simply holding it against a strong light. There is no need for any watermark detector. However, due to the large size of the letters used, blocks or larger multiples are usually needed to accurately show the position of the watermark. Of course with souvenir sheets, checking the watermark position is no problem at all! All stamps with the large "RPKK" watermark will have the normal watermark position mentioned in my catalogue, for specialists who are interested in such varieties. They are noted as being upright or sideways, since we can expect to find stamps with inverted watermarks if we see some with upright watermarks and vice-versa. And, we can expect to find stamps with sideways inverted watermarks once we see some with sideways watermarks. Watermark 1 - large 'RP KK"
00 PAPER - Ordinary or plain paper: non-reactive to US light; appears brown, dull or "dead". With cream gum. FF PAPER - Fluorescent on both front and back: the front gives a white glow with a bluish tinge under UV light; the back gives a white glow. With cream gum. FO PAPER - Fluorescent on front only, with back side ordinary: only the front gives a white glow with a bluish tinge under UV light; back side is ordinary and the watermark shows clearly as lighter lines against a dark brown background. With cream gum. F(red)F PAPER - Fluorescent on both front and back: the front gives a reddish or pinkish glow under UV light; the back gives a white glow. With cream gum. F(red)O PAPER - Fluorescent on front only, with back side ordinary: the front gives a reddish or pinkish glow under UV light; back side is ordinary and the watermark shows clearly as lighter lines against a dark brown background. With cream gum. F(green)O PAPER - Fluorescent on front only, with back side ordinary: only the front gives a greenish glow under UV light; back side is ordinary and the watermark shows clearly as lighter lines against a dark brown background. With cream gum. PF PAPER - Phosphor-coated paper: the front gives a bright yellowish-green glow under UV light, with a very strong afterglow or phosphorescence; the back gives a white glow. With white gum. F(or)F PAPER - Fluorescent on both front and back: the front gives a bright orange glow under UV light; the back gives a white glow. With white gum. F(or)O PAPER - Fluorescent on front only, with back side ordinary: the front gives a dull orange glow under UV light; the back is ordinary. With cream gum. PO PAPER - Phosphor-coated paper with ordinary back: the front gives a dull yellowish-­green glow under UV light, with an afterglow; back side is ordinary, appearing more like purple than brown. With cream gum. P02 PAPER - Variation of PO paper: gum is whiter than PO paper, although still cream in color, with bluish tinge. Under UV light, this gum looks duller (more purple) than that on the PO paper. GRANITE PAPER - Phosphor-coated paper with colored (red and green) fibers embed­ded: the front gives a yellowish-green glow under UV light, with an afterglow. With cream gum, which varies greatly under UV light. Some are ordinary, others are fluorescent and later stocks are hibrite, with many intermediate shades, too. It is too confusing to segregate them into different types, so there won't be any sub­types for this paper. DULL ENGLISH PAPER - Phosphor-coated paper: almost similar to the previous P02 paper. However, the yellowish-green phosphor glow is stronger, and gum side looks purple under UV light. With cream gum. GLOSSY ENGLISH PAPER - The front is very glossy as compared to all the previous types of paper. It is hibrite under UV light, glowing very brightly white. The cream gum is not as purple as the Dull English paper under UV light, and the watermark shows clearly as lighter lines against the purplish brown background. JAPANESE PAPER - Starting in July of 1983, a new type of paper imported, from Japan, was added to the papers being used to print our stamps. This paper is also very glossy on the front, but has white gum which will show the watermark clearly when held at an angle to the light. Under UV light, this Japanese Paper is phosphorescent, giving a yellowish-­green glow, and the watermark is clearly visible as darker yellowish-green lines. This watermark is still "RPKK"; however, the letters are smaller. The full watermark measures only about 79 mm. x 19 mm., with "R" & "K" each measuring about 14 mm. x 19 mm. and "P" about 13 mm. x 19 mm. There is also a wide space between "RP" and "KK" . This small "RPKK" watermark I will call WATERMARK 2. Only the stamps printed on the Japanese paper will have this smaller watermark. As before, almost all stamps come either upright or inverted only, or sideways or sideways inverted only. Again, if we see some stamps with upright watermarks, we can expect to find some with inverted water­marks, too. The watermark position for this Watermark 2 is noted as either upright or sideways. Watermark 2 - Small "RP KK"
LOCAL PAPER - In August 1885, a paper produced locally was used to print some of the Quintin Paredes reprints. This LOCAL PAPER was manufactured by Scott Philippine Paper and was acquired through AMSTAR Company Inc. It is much whiter than the imported papers, is rougher and firmer to the touch, and has a new type of watermark. This consists of the seal of the Bureau of Posts, "REPUBLIKA NG PIUPINAS" in 3 lines, and "KAWANIHAN NG KOREO" in 3 lines also. 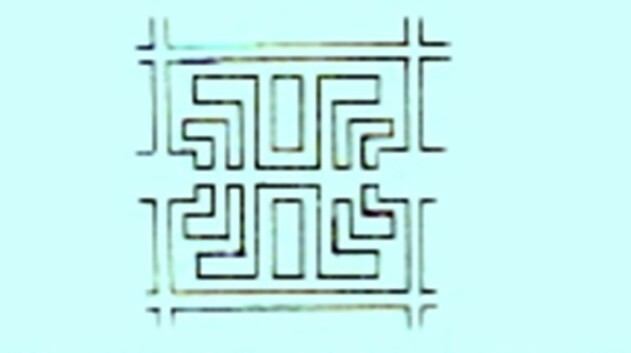 There are several different arrangements of these 3 markings. On some sheets, it will be "RP" at left, seal in middle and "KK" at the right. On others, it will be seal at left followed by "RP" and then "KK". Still others will have "KK" at left followed by seal and "RP". Furthermore, some will have "KK" of one group followed by "RP" of another group, while others will have "KK" of one group followed by "KK" of the next group. The full watermark will measure about 186 mm. Each of the letters measure about 5 mm. x 8 mm., with "REPUBLIKA" and "KAWANIHAN" each measuring 64 mm. Each of the 3 lines measure 33 mm. vertically from the top of the first line to the bottom of the third line. The seal measures 47 mm. x 47 mm. Since this new watermark, which I will call WATERMARK 3, is so big and can hardly be seen on many stamps, I will not attempt to list the watermark positions anymore. This local paper had been used for most of the Issues of 1986 until the arrival of the French paper; then it was used mostly for definitives and definitive-sized stamps only. This local paper continued to be acquired through AMSTAR Company, Inc., although the paper mill had changed name and ownership already. The manufacturer is still the same mill but it is now known as Holland Pacific Paper Mill. Several orders for the local papers produced several batches of paper that differ in texture and quality. At first, the paper was very white, rough and thick, then it became thinner, with the gum on some so bad many were re-gummed. Later, paper became glossier with smoother gum, but with the watermark barely visible. Then some papers became cream-colored, especially noticeable on the gum side. Afterwards, some came with very clear watermarks. Later, the gum side showed a rough, uneven textured surface, and the watermark became more visible as it was thinner. Then the gum became smooth and glossy; later it showed uneven lines like slight elevations and depressions. Finally, on the Fiesta Islands IV issue, the gum became smooth and glossy again. Starting with the Fiesta Islands II issue, all stamps printed by AMSTAR have a small phosphorescent security mark, "PPS", which measures about 5 mm. x 21 /2 mm. overall, and stands for "PHILIPPINE POSTAL SERVICE". It glows in bright yellow and is printed either upright or sideways on the center of each stamp, sometimes on the side margins also. With so many variations in the quality and appearance of local paper, it would be too confusing to separate them into subtypes. FRENCH PAPER - Between August of 1986 and March of 1988, a different imported paper was used to print the commemoratives of that period. This paper was imported through AMSTAR Company, Inc., from France. This FRENCH PAPER is glossy but very thin, with white gum and is hibrite under UV light. The watermark is a series of geometric lines in the pattern of a maze. The paper is so thin that these watermark lines show through. The maze watermark I will call WATERMARK 4. After the French Paper was exhausted, the Japanese Paper was again imported to print our commemoratives. This paper was similar to the previous Japanese Paper; however, many inferior-quality sheets were included and these showed less phosphores­cent coating on the front, so the yellowish-green glow became much weaker, or almost absent on some sheets. The paper used for stamps printed abroad are the same for the entire printing so no paper varieties exist for such stamps. However, the paper type is still noted in my catalog.